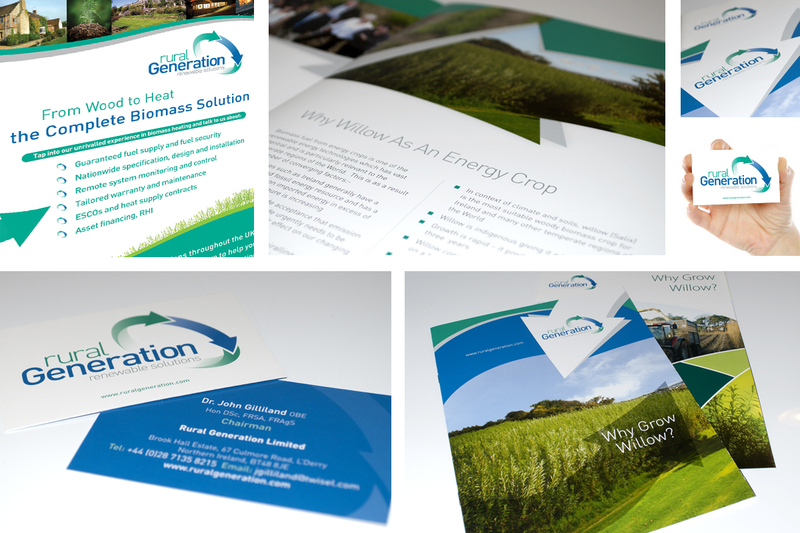 As a company on the frontier of renewable energy solutions in Ireland and beyond, Rural Generation Ltd approached us with a brief to rethink their existing branding and primarily their current logo. We helped them to develop an understanding of bringing a brand up to date so they can stay competitive in a rapidly growing market with a solution that encompassed the diverse nature of Rural Generation Ltd and which also allowed them to portray themselves as a modern company. The new branding is currently being applied across all media and printed literature, culminating in complete re-brand for the entire organisation over the next number of months.